Dead car battery? Give it a glass of red wine. Home » Personal Finance » Cars and Transportation » Dead car battery? Give it a glass of red wine. I love quick fixes for problems. Especially quick fixes that involve alcochol, and let me tell you that this one is pure genius. If you've ever done something silly, like leave a dome light on all night, or you just happen to have a battery that's on its last legs, then you'll know the sinking feeling of a dead battery. You dashboard panel lights may not even come on, or you get that repetitive cranking that just won't turn over. Well, a clever wine drinker has figured out that the acids in red wine are just the boost your battery needs to give it some extra juice. The video below explains it all. 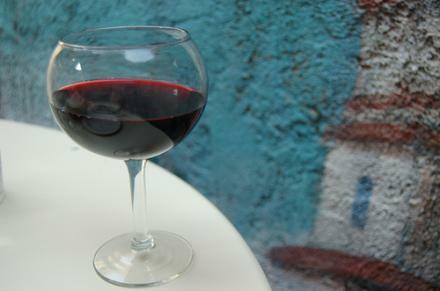 But from now on, you can absolutely say that drinking red wine is good for you. Maybe every car repair kit should come with a fruity Shiraz? Main photo by archival . Thanks. Good find, Paul. I wonder if that works for a motorcycle battery (is it the same dealy-o with the battery cells)? Mine dies every other day or so. You know, water works just as well. And it's a little cheaper. Water is not the same, and if you are going to use water it must be distilled for optimum purpose. Well of city water have impurities which degrade the existing acid in the batteery. Don't use town water. But wine is ok? I'm no expert, but how much acid is in water? I think what the video creator is getting at is that red wine works better because of the acidic qualities. Maybe lemon juice works too. I don't know for sure, but I do know that I've tried water in my dead battery and it did nothing. Often the battery dies because of poor terminal connectivity -- even when corrosion looks minimal. Loosen the connectors. Cut a lemon in half and grind it on the terminal and cable ends. Reattach. Might restart on remaining battery power with better connectivity. Might require a jump. Then, off you go. Drink the wine. be starting your car right after you've been drinking wine. Great, I see the guy watched MacGyver. I needed a quick fix and used pineapple juice as I didn't have wine :( . Amazingly enough, it worked! I'm going to try it today. Battery was completely dead, tried putting it on a charger and that didn't do much, car still won't start. I probably need a new one in that case, but I had a bottle of red wine in the fridge so I figured I'd give it a try. I'll post on whether it works for a toasted battery or not. Don't keep red wine in the fridge, for goodness sakes. Wine also boosts "my battery"
And imagine me going to a car repair garage for that every time! Damn! Before, throw away your car battery I recommend to check this self repair guide. I also have here some tips on how to jump start your dead battery. Maybe it could help you. Connect one end of the (+) positive cable to the (+) positive terminal on the dead battery. Connect the other end of the (+) positive cable to (+) positive terminal on the good battery.Connect one end of the (-) negative cable to (-) negative terminal on the good battery. Connect the other end of the (-) negative cable to the engine block of the dead car. I wonder if brandy would work? Sounds like BS, adding stuff with organics in it is the fastest way to kill your battery. An old-school fix is to add a teaspoon of Epsom salt, but it won't help you if the battery is dead completely. This might be a little off topic, but does anyone know if the settings genius really works? It's supposed to keep your radio settings when you change your battery. Just wondering if anyone has had any experience with it?